What did Genetics and Hansen’s Folly have in common? Why, everything… Genetics was statistical and Hansen’s Folly impossible! 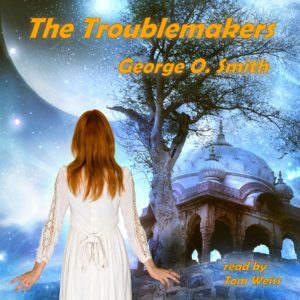 In typical George O. Smith fashion, the story holds your interest by flitting through several events seemingly unrelated, into an ending that solves the dilemmas posed by the events in a most unusual way – subterfuge. George O. Smith was an American science fiction author. He was an active contributor to Astounding Science Fiction during the Golden Age of Science Fiction in the 1940s. He was awarded the First Fandom Hall of Fame award in 1980.